Today in history, Langston Hughes passed away, the Caribbean island of Martinique abolished slavery, and Katherine Mary Dunham, the “Queen Mother of Black Dance,” passed away. Partial Transcript of This Day In History coming soon. 1840 – The transportation of British convicts to the New South Wales Colony is abolished. The Caribbean island of Martinique abolished slavery in 1848. Seven years after the end of the Civil War, reconstruction was under siege, the forces of Black repression on the rise in the South, Northern interests and voters tired of costs of reconstructions of aiding the newly enfranchised formally enslaved people. And the death knell on reconstruction harkened on this day in 1872 when President Ulysses S. Grant signed the Amnesty Act into law that restored full civil and political rights to all but 500 Confederate former soldiers and leaders. This gave rise to their militias By 1876 Democrats had regained control of all but three states in the South. In 2006 – Katherine Mary Dunham “Queen Mother of Black Dance” passed away. She was a world renowned dancer, activist, author and educator born in, 1809 started out as an anthropologist and philosophy writing books on the African Diaspora culture and dance but her heart was in dance She formed the first Black ballet company in the United Stats, when she was 22 years old. 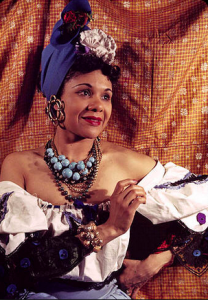 In 1945 she opened the famed Katherine Dunham School of dance where Eartha Kitt, James Dean Gregory Peck, Sidney Poitier and Shirley MacLaine among many became her students.